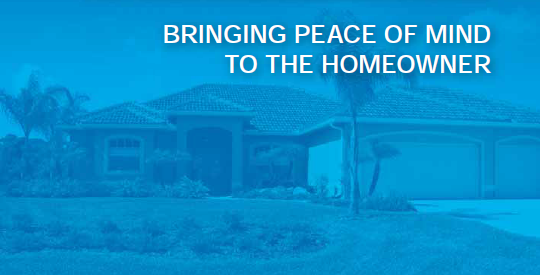 With the TermX full under slab system and a TermX External Perimeter system you have the best of protection for a structure or dwelling. Even a slab built to Australian Standard 2870 can crack enough to produce a crack 1.3mm in size. This is enough space for subterranean termites to enter and establish a colony undetected. There is a misconception that most attacks start from the outside of a structure. 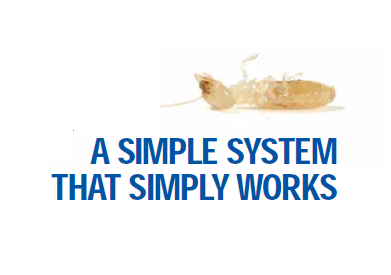 In fact many termite attacks are from under the slab where the benefits of having a full under slab system give maximum protection and insurance against incursion. TermX Replenishment System pipes are spread 300mm to 450mm apart over the entire area of the slab. The TermX Replenishment System should incorporate a TermX External Perimeter System to provide the best possible protection. TermX Replenishment System should always be installed with perforations facing up. Lay the 10 metre length in the prepared trench ensuring that perforations are facing up. The TermX Replenishment System is to be installed as close as possible to the slab edge. Stop end section of pipe can be secured with a tent peg or U peg. If in the 10 metre length a plumbing outlet or any pipe is present, the TermX Replenishment System can be wrapped around by looping around at soil level of the plumbing outlet and then continued on in prepared area. The reason for “wrapping” the pipe is to ensure that in these problem areas chemical will surround all sides of the pipe giving complete coverage. 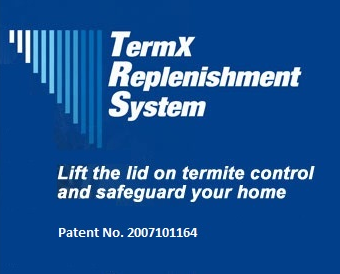 TermX Replenishment System can be secured at any point along the 10 metre length by using a tent peg or U peg. Once entire 10 metre length is installed in prepared area, a junction box is then installed. To install junction box, dig down in appropriate area and place junction box. Ensure that the lid of the junction box is level with the top of the soil height. For slab distances greater than the maximum recommended length (10 meters) for TermX Replenishment System use the TermX Feeder Line Assembly (black coloured pipe) to bridge the distance to an external filler junction box (see diagram 1). For larger slab areas it may be necessary to run TermX Replenishment System 10 meter pipe from alternative sides of the slab in order to provide adequate coverage (see diagram 2). ach filler point requires Durable Notices informing occupants the system in place, lengths of TermX Replenishement System in place (refer to sections herein for details of Durable Notices and Wall Plate requirements) in order for the system to be correctly charged with termite treatments. At all times when charging the system with chemical, the chemical label should be strictly adhered to with regards to application. Always use a ball valve filler connecter with flow meter to ensure that correct litreage is being applied. Chemical should be applied as per chemical label for both lineal and cubic metre formulation. Use a brass or PVC hose joiner to attach ball valve filler connector part to hose connection and begin charging. It is recommended that the TermX Replenishment System be charged at a minimum of 100 PSI. TermX is rated to 300 PSI. Australian Standards 3660.2 - 50 litres per 10 lineal meters. For all soil profiles the treatment rates are as per the label at a rate of 100 litres per cubic meter of soil or for the Horizontal surface at a rate of 5 litres per square metre. Installation can be checked by "Mathematics'" to ensure the system is operating as designed. For all soil profiles the treatment rates are as per the label a rate of 100 litres per cubic meter of soil. To calculate this: width X depth X length = (volume) X 100 L. = volume of mix.